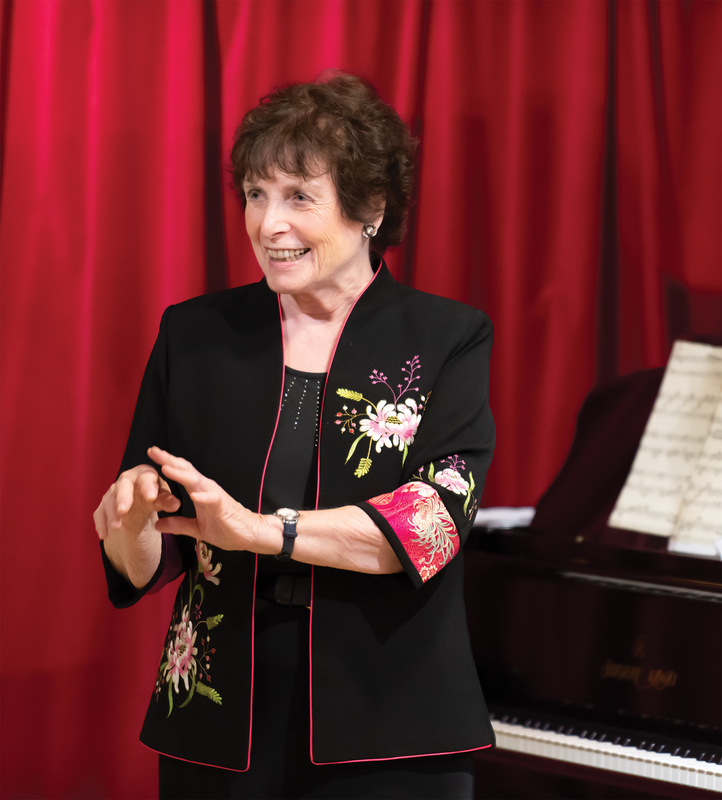 In June, pianist and harpsichordist Virginia Black visited Hong Kong. We seized this opportunity to find out more about her and her views about music. CH: I heard the main influence for you being a musician was mainly from your parents, who were always interested in performance. VB: Yes, it really was to do with performance because they enjoyed dancing, on ice in particular. My mother was a dancer and teacher but my father was a businessman. However, they both loved dancing together, both ballroom and ice-skating dancing, hence they were performers. They encouraged my sister and me to go into the worlds of theatre and music, respectively. I did the same as what any aspiring pianist would often do – entering lots of competitions and performing quite a lot early on. For me, it was between the age of ten and sixteen. CH: I’m curious as to why you chose the piano instead of other instruments. VB: I played the violin for a bit but winced at its sound: I hated it! VB: And I wasn’t very good at it. CH: But then, who introduced the piano to you? VB: What happened was that there was a very famous teacher in Birmingham (UK). My mother took me to a concert where all her students, little children, played concertos with an orchestra. And I thought, I wanted to do that. CH: Ah, that was the principal inspiration. VB: Yes. Then I went into my first competition when I was close to nine years old. I just loved playing to people and was thrilled with the applause – I am sure you know the feeling! Those were the big influences. I had decided that I would definitely play the piano thereafter. CH: You practised a lot in those days? VB: I did, in order to get to the Royal Academy of Music (“Academy”), and I got a scholarship, which was difficult to achieve. CH: Was the practice more driven by your parents or self-motivated? VB: My parents were very happy to support what I was doing even though they didn’t have a clue about the basics. CH: So, it was mainly from within yourself; that is really precious. I heard that you still practise five hours per day. VB: Yes. I do practise a lot. It’s my way of doing things. VB: Yes, that’s the only way. But it’s my passion and really what I love doing. CH: How about practice when you come to Hong Kong to be an examiner? VB: Well, just to keep things going, I often practise during lunch breaks and before the exams start when it’s not the same as my usual routine. CH: You come to Hong Kong around six weeks per year during the exam period? VB: Yes, that’s right. With two days off each week, I hire a studio to practise. CH: Could you share a bit about your time at the Academy? VB: It was wonderful that when I went to the Academy I had some marvellous teachers. One of whom was Gordon Green, who taught John Ogdon and many other very fine pianists. At the same time, I started learning to play the harpsichord. I always loved its sound and was interested in it. I listened to Wanda Landowska, but she was not my most favourite harpsichordist. George Malcolm then taught me for a short time at the Academy. CH: Both of them taught you? CH: Were they the sources of inspiration for you for the harpsichord? VB: I was very encouraged by my harpsichord professor Geraint Jones who was keen for me to do concerts for him. He was a professional conductor and performer. I played the Brandenburg Concerto No. 5 in Guildford Cathedral with the English Chamber Orchestra, which was a great experience for me at a young age at that time. CH: It was fantastic that your teacher was a conductor. VB: Also, while I was a student, I played my debut recital at Wigmore Hall; that went really well. In those days, the critics actually went to the concerts. I was extremely lucky to have very good reviews in three of the major newspapers – this helped my career enormously. CH: Was the Wigmore debut followed by the Southbank debut? VB: I played many concerts at the Southbank in all three halls, Purcell Room, Queen Elizabeth Hall for concertos and Royal Festival Hall for a live broadcast and for a piece written for me by the composer Michael Nyman. I did a lot of concerts all over the world, including the Prague Spring International Music Festival – a very big day for me! I played in Paris several times at a summer festival there. I performed in Germany as well. CH: How amazing! How was the performing career scene in those days? It seems to me that it’s more competitive nowadays. VB: I was lucky that I was playing the harpsichord at the time when original authentic baroque instruments were being made. The harpsichord as a solo instrument wasn’t really that known – there were Wanda Landowska and George Malcolm but there wasn’t much else. You could say that one of my colleagues, Trevor Pinnock, and I developed a different way of playing the harpsichord, which had a lot to do with tiny amounts of rubato, articulations and over-holding notes to make a singing sound. The technique to make the harpsichord sing is very difficult but it was also very exciting. CH: Was that an era when people began to explore harpsichord music? VB: Yes. And people began to go to harpsichord solo concerts. Before that, the harpsichord had always been known as that tinkly sound which kept playing at the back of the orchestra. That wasn’t my scene; I didn’t want to do that. CH: In that regard, you were a pioneer! VB: Yes, exactly! Actually, Principal Jonathan Freeman-Attwood did address me as a pioneer when I left the Academy. I had almost forgotten! CH: You mentioned in the radio interview that one of the challenges of playing on a harpsichord is to create the illusion of making the loud and the soft. Given the instrument’s limitation, how can you make it more moving compared to an interpretation on the piano? VB: You can do what I call the mini-rubato, the tiniest amount of movement within a bar, within a beat even; it can suddenly sound much more expressive and actually, as I mentioned before, over-holding notes is more than legatissimo, it is holding down two notes at once but releasing the first one before progressing to the next one. CH: Was it a new technique you developed? VB: It comes with your wish to make the instrument as expressive as possible. If you listen to some of my recordings playing the harpsichord, that’s what I’m trying to do. VB: And the articulation – you can make an accent easily by shortening the note just before it. It’s a lot to do with the air between notes that make something musically clear. It’s a different musical language. CH: It sounds quite difficult to me! VB: It’s actually very difficult. But my students at the Academy did well, they caught the idea. Because it’s such a challenge. One of the reasons that I wanted to go back to the piano, which I did, was because, in my harpsichord performance classes, we say all the time, “No pianist would ever know the amount of effort we put into to making a phrase on a harpsichord, in making it sing, making musical sense and making a shape”. Going back to the piano, there are many things that it can do but that a harpsichord can’t – you can get louder and softer and use the pedal! VB: Yes. The thing that isn’t easier is of course all the ornaments. The Rameau pieces have particularly difficult ornaments – my CD of these pieces played are coming out in September by the way. VB: And that’s the trouble. Pianists often think they have to imitate the sound of a harpsichord, which is absolutely not what we want. For instance, the second movement of Bach’s first partita, that’s where we will be over-holding for the first beat and then gradually making the notes slightly disconnected in order to get the feeling of an up-beat on the fourth beat. I heard participants played that in an international competition with every single note short – it sounded terrible! Because they thought that sounded like a harpsichord! Every harpsichordist would be desperately holding on and making it sing and all the rest of it. But what came from my harpsichord playing is that you don’t need to make every single detached note exactly the same. You can have very long detached notes for the first within a bar or a short one for the end of the bar. As in the G major French suite, a courante, what we do at the harpsichord is to over-join the first two beats and then detach, just very slightly, the semiquavers in the third beat to bring about the feeling of dance. There are many other examples. CH: So how do we decide what notes to join and what to detach on the piano? VB: Well, obviously, you can’t join all the notes together, or otherwise there’d be no shape. But it depends. You do join notes together if they are consecutive. It’s the melody that sings. But, if it’s an accompaniment or a broken chord, detached is better. So, for the methodical piano students, who go as far as detaching them, they need to go one step further and choose among an infinite choice of detached notes to give it more shape. I enjoy giving lectures on playing baroque music on a piano – that is what most pianists find difficult: What to do, how to articulate and how to shape the phrases. I can talk about how I play it on harpsichord and how one switches to the piano while keeping the shaping that works for the music. CH: Our readers would love to hear this! VB: It is rewarding to see how this subject interests piano teachers. I’ve spoken in conferences to piano teachers about these difficulties. CH: Many of my students have asked how they should do that. They only listen to recordings and their understanding is limited. They don’t know the reason behind why things are done in certain ways and they just imitate. VB: Same with the masterclasses. I usually play at the end, because it’s no good to just talk about “this is how you do it” – they need an actual demonstration. CH: Nowadays, you return to the piano with the repertoire you have learnt on the harpsichord mainly. Do you explore new repertoire now? VB: Yes. My younger son, Oliver Davis, is now a renowned composer, particularly famous in the ballet world, where he writes music and has been commissioned. For instance, just recently, the San Francisco Ballet commissioned him. He’s written new pieces for me. CH: He’s into the ballet music, possibly because of influences of his grandmother? VB: It’s in the genes, I’d imagine. He just writes in the style that fits the ballet. People have choregraphed to his music and he’s also been commissioned to write. Now, for me, going back to Beethoven is new. I look forward to playing the Tempest. Afterwards, I’ll be playing in Italy for two concerts. Each of these programmes will end with two other Beethoven sonatas – the Pathétique and Op. 110. CH: I learnt the Op. 110 at the Academy and it was a big struggle for me. VB: It’s a huge piece but it’s wonderful. The fugue towards the end is particularly difficult. CH: Also, the slow movement… I think I was too young to handle that at that time. VB: Perhaps you needed to be more mature. It’s almost otherworldly – Beethoven was deaf at this time of writing. CH: Do you still remember what you played for your final recital at the Academy? VB: I played the Italian Concerto, Scarlatti and Rameau. VB: Yes. By that time, I was offered work as a harpsichordist. CH: Do you still remember how you felt about your final recital? It was the hardest recital I’ve ever had in my life. VB: Absolutely. Harpsichordists do play with music but pianists don’t. I spent my entire harpsichord career playing with music. Now, I still play with music. But in my final recital, which was a lot longer than they are now, I had to play the entire programme from memory, which I did. But it was always the Bach which was the most difficult thing to remember in the programme, together with all the baroque music. CH: Apart from solo repertoire, do you play chamber music? VB: No. I only ever played with my late husband. But I do play concertos. CH: What recording did you make with your late husband? VB: Mozart sonatas. We played all the Bach duo sonatas as well, some were recorded by the BBC. He was the leader of the Alberni String Quartet and he also played the baroque violin with me, broadcasting for the BBC in the past. CH: We saw your recording in Apple Music, Mozart sonatas, Scarlatti and you mentioned earlier that a Rameau will be released in September. VB: Yes. It’s with the record company now. It was recorded last year but there has been a bit of delay. There are Mozart piano sonatas coming as well. CH: So, you are very active even in recording music! CH: You have been teaching at the Academy for a very long time. Have you noticed any differences in the way the students behave over the years? CH: I suppose this applies to all other instruments as well? CH: The standard is going up. Just like the kids I’m teaching, compared to when I was a young student, their standard is much higher now. CH: What do you think about the Early Music Movement now? Any comments? VB: I think sometimes the idea of we “must play it authentically” or “must play it correctly from the historical performance point of view” can sometimes drive the music out of the performance. Without rubato or vibrato it can sound very dead. Music is music; think of a voice: that has vibrato and what’s wrong with that? Nothing! Emma Kirkby actually sings with a very pure sound but it isn’t without vibrato and it’s the same for instruments, in my opinion. CH: Can you share with us your experience on teaching? CH: For a performer, how important do you think teaching is? Personally, I think we advance much at the same time as we teach. VB: I think you learn a huge amount from teaching. When you were young, you started out with teaching, you looked at how someone played something and wondered why they couldn’t play that. Was it that difficult? That developed your whole process of analysis and troubleshooting, e.g. let’s do it like this, feel this; it might be technical, mental; sometimes it was just a confidence issue. To say something good because the student did such and such could make enormous influence. I’m sure, with your teaching, being praised for what’s good helps your student along. Because, after all, students don’t have all that much confidence and they need to be reassured they are succeeding. Sometimes teachers don’t praise their students enough, I feel. More open discussion – do you want to play it or compare this and that – is preferred rather than a dictatorial approach. CH: For a lot of readers who are teachers, do you have any recommendations to enhance their teaching? VB: Enhancing the teaching is about enhancing the practice and giving them motivation. If a student is struggling, it could be repertoire orientated. Choose a piece which is not graded and not too difficult for them, saying it is to improve their expressive playing and singing tone, that might help. One thing that is difficult to teach but quite essential is sight-reading. If the students get in to the mode of getting Grade 1 distinction, followed by Grade 3 with a reasonable merit, and thereafter they just learn the pieces for the exams and by the time they get to Grade 5 with a low pass, they start failing… I’ve been examining here a lot; there are often failures at Grades 7 or 8 because there hasn’t been enough of general musicianship going on. Just learning the pieces for the next exam won’t be sufficient. One has to do lots of different repertoire and sight-read the pieces that they are going to learn next very slowly with all the information that needs to be given oneself in every bar. Obviously, sight-reading has to be done very carefully and very slowly to avoid learning the wrong things. We know that it is ten times more difficult to put it right when they’ve learnt it wrongly – they simply go on with their mistakes. The favourite technique with practice is slow practice, really slow practice. CH: This is the only way. VB: Right! Practising technique is also what I talked about a lot. Slow practice, practice in tiny bits from one bar line to the next, or from one phrase to the next, then adding two-bar phrases together, finally integrating that musical sentence into the rest of the piece, this all can add up to an accurate and confident performance. Again, it’s quite complicated, but of course, once the students realise it works, they will be happy to keep going. I can demonstrate how they can learn to play something quickly with slow practice whereas they could have learnt that for weeks but yet to get it right. Although it was a short one-hour conversation with Virginia, we could feel her great passion in music performance, learning and education. During her stay in Hong Kong, she had given a masterclass to University students and then played in a full recital with newly-learnt repertoire. Afterwards, she will have concerts in Italy and other music recordings – we were simply amazed by how much energy she had in order to pursue all these. This is a truly lifelong music career!